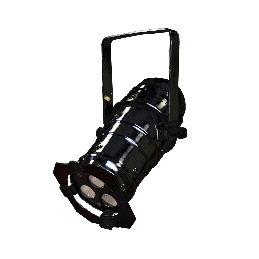 The LEDJ Par 16 features 3 x 3W white LEDs, which combine for a whopping 9 Watts of light output, projecting a crisp, sharp edged spot. With its adjustable mounting bracket and multi-voltage input, this Par can is ideally suited for those hard to reach areas where illumination is needed for shop/window displays, bars and small events. The filter frame holder allows the user to choose from a vast range of coloured filters (sold separately) to create a unique multi-coloured light output.